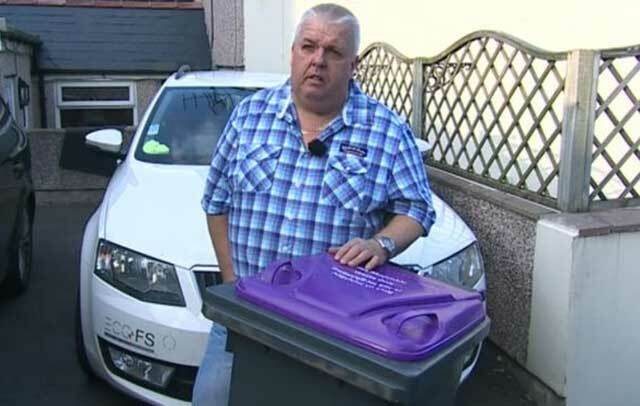 A man has criticised Torfaen council in Monmouthshire, Wales, for destroying his wheelie bin. Russell Burgess from Abersychan believes the council thought he had two household waste bins, so destroyed one. His home CCTV system filmed the moment it was thrown into a bin wagon. Other residents claim their bins have also been destroyed. In a statement, Torfaen council said: "Any household putting out more than one bin will have the additional bins removed and recycled." 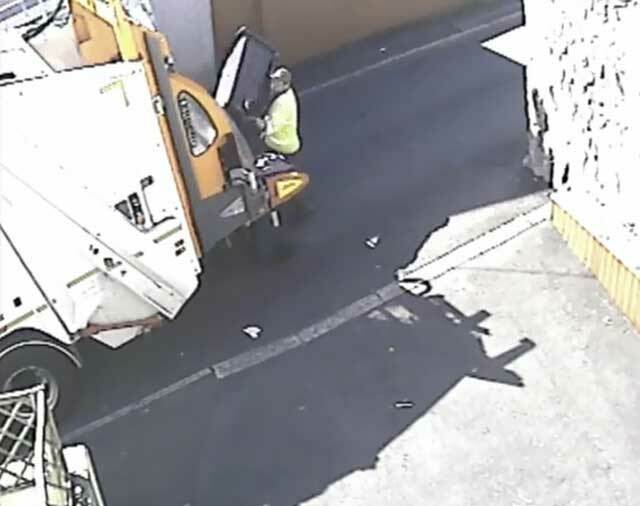 The CCTV footage shows a council refuse collector throwing Mr Burgess' bin into the back of a refuse lorry. Mr Burgess claims council managers initially did not believe his version of events, and said he only received a new free bin when he went to the council depot and showed council bosses the footage. He said: "I was livid, why would anyone do that, why throw it in the back of a wagon? There was nothing wrong with it, there was no justification for doing that, what a waste of money - and I would have to pay for it, that was the real thing." Torfaen council said it "initially had no record of a bin being removed, however, the issue was resolved and it was replaced free of charge". Replacement bins normally cost £20. Other Torfaen residents have also claimed that their bins have been removed by the council. Some say they have had to pay for a new bin, as they have not been able to prove their bin was mistakenly removed. Torfaen council said between April and August 2016 residents have had to pay for 196 replacement bins. Bins have also been stolen in the area. The authority said: "We are currently looking into this incident and have provided the resident with a wheelie bin free of charge." There is no suggestion any Torfaen council employee has done anything unlawful. Good grief. Are town councils the last refuge of bullies who weren't mean enough for home owner associations?